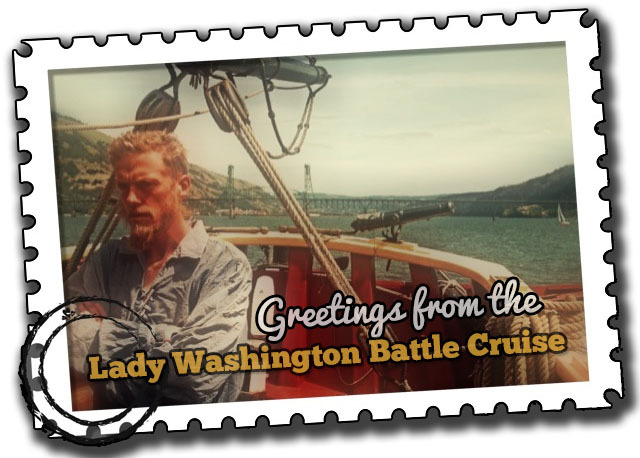 This is a brand new video from our blog friend, Portdaddia, who took the family on the Lady Washington “Battle Cruise” from Hood River, OR this weekend. The Lady Washington was rigged according to custom of the 1780s with 168 different lines, crewed by 14. The Hawaiian Chieftain was circa 1850, a bit smaller, and needed only 10 crew with fewer sails and lines. The captain was a professional and the remaining crew were volunteers, the newest having to pay to sail on the ship for two weeks to gain basic skills. The crew were not characters in an historical re-creation, rather people trying to give tourists a taste of sailing from a few centuries ago, wearing traditional garments and sensible footwear. Read the complete Portdaddia post from June 3, 2013 here. It’s been more than ten years since I’ve been aboard the tall ship, Lady Washington. My brief visit was during one of her stays at the Columbia River Maritime Museum. I was working for KVAS Radio at 1490 Marine Drive and as part of the media stop got to stay onboard for one night as a crew member. We all were responsible for a shift as a night watchman Staying awake wasn’t a problem as the below-deck hammocks aren’t built for comfort. Vintage trailer fans, check this out: Spartan trailers in Seaview WA at the Sou'wester Lodge. See more on our Videos page. 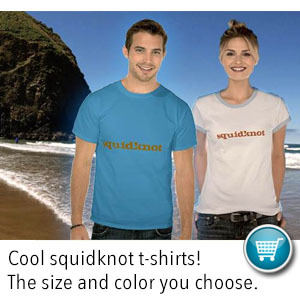 Enter your email address to follow squidknot and get notified of new posts by email.